Managing the Electrical Conductivity (EC) of the water that is available to the plants is a key practice to maximize the speed of growth and yield of the harvest. I explain the importance of EC in “The Principles of Fertigation” and “Understanding Osmosis and EC”. To set the targets for the EC of the nutrient solution you provide be sure to see our tutorial “How to set EC Targets”. It is important to provide nutrient solution that is the correct EC, but the EC rises as the water sits in the pots. As a result, root zone EC is generally higher than inflow EC. Because EC gradually rises as the nutrient solution sits in the pots, fertigation frequency is one of the main ways that you need to manage the EC of the nutrient solution in the root zone. 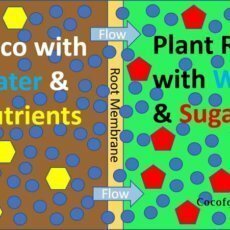 If the time between fertigation events is long, then the difference between the EC of the inflow and the EC of the nutrient solution in the root zone will be large. Measuring the EC of the nutrient solution suspended in the root zone is impractical. However, the run-off that is generated at fertigation events is a good indication of the water that had been available to the plants. We measure run-off EC as a proxy for measuring root zone EC. This tutorial explains how to manage the EC of the run-off. 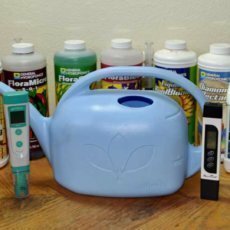 I discuss the ideal range to maintain your plants and how to respond to different EC scenarios. For a deeper understanding of why EC matters, be sure to read our article, “Understanding Osmosis and EC”. Reliable meters can be purchased for as little as $10-$20. I use this Hone Forest EC Meter, and I have verified its accuracy against other meters. The technology involved is simple and you do not need to invest in an expensive EC meter. You simply turn on the meter and lower it into either the nutrient solution you will be delivering to the plant or the run-off that passes through the media. It is important to always measure the EC of the inflow and to periodically measure the EC of the run-off. You should start by checking run-off daily until the numbers become predictable to you, at which point, you can skip days. Never let a plant go more than a few days without testing her run-off EC. 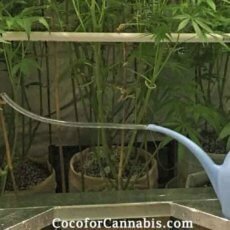 You need to be able to measure the EC of the run-off from each plant. 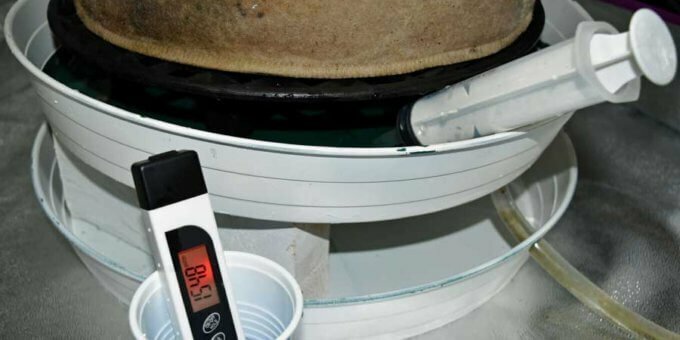 It is best to test the water as it is leaving the pot and before it can be contaminated with dissolved salts in the saucer. 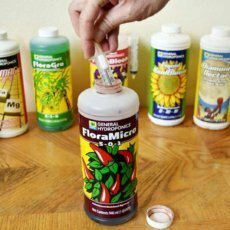 I use a large oral syringe to remove samples from the saucers of each plant. I put that water in a small cup and lower the meter into it to get a reading. 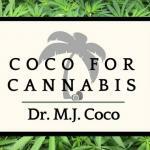 Always record these readings in your grow journal to be able to track each plant’s EC performance. The EC of the run-off will be slightly higher than the inflow, but should be very close. Under normal conditions, the run-off EC may be up to 300 points higher than the inflow. This is acceptable and is the reason we set inflow targets near the low end of the recommended range. You need to manage it close to that range. If it becomes higher than +400, remedial actions should be pursued. The best solution is to increase fertigation frequency. The most likely cause of high EC run-off is excessive losses to evaporation between fertigation events. Increasing frequency will help to prevent EC from drifting too high between fertigation events. If increasing frequency is not practical or not helping, then you should increase quantity of nutrient solution applied at each fertigation to ensure a thorough saturation of the media. Increasing the quantity of run-off should help lower the quantity of salts in the root zone. Quantities may be reduced as EC returns to the acceptable range. Only if run-off EC is dangerously or persistently high, should flushing with a lower EC solution be considered. It is less likely that EC of the run-off will be lower than the inflow. Normally, when this occurs it is temporary and self-correcting within 4 fertigation events. If it seems to persist, there may be a problem with inadequate distribution of water during fertigation events. This is more likely with automatic watering systems. As we discuss in “How to Manage Automatic Watering Systems”, poor distribution with automatic watering drippers can create a situation where salts accumulate, and plants are burned even as the EC of the run-off is low. When the run-off EC starts to climb, the best course of action is to increase the fertigation frequency. If this is not possible, the second-best option is to increase the quantity of run-off at each event. Only when these methods cannot control the run-off EC within the acceptable limit, should you consider lowering the EC of the inflow or “Flushing to Lower EC”. See our tutorial, “When and How to Flush”. Lower than inflow EC Anomaly Not a problem. Should self-correct. +300 to +400 Caution Increase fertigation frequency and/or Increase quantity of run-off.